What makes you stop by, when you scroll through hundreds of posts everyday online and hit the Like or Share button? Have you ever stopped to wonder what made people share it? Is it because of the content, aesthetics, or headline? 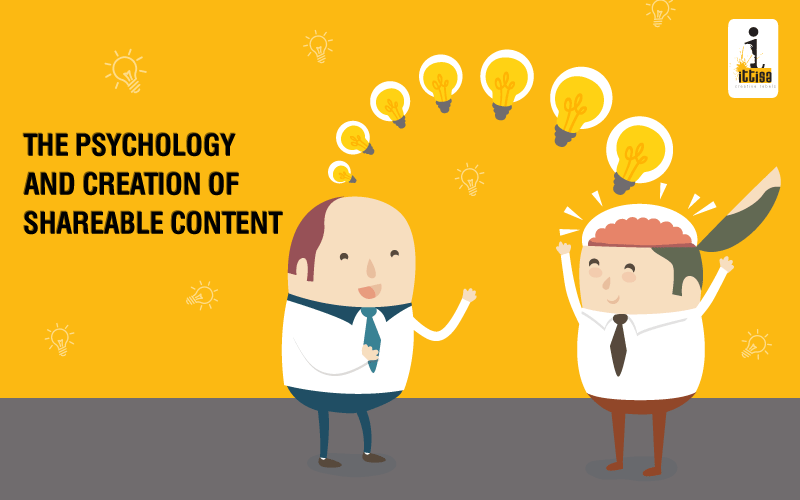 We answer these fundamental questions regarding the psychology and creation of shareable content. To effectively create shareable content, you should have a better understanding of the audience’s mind set. Remember there is a person behind the computer screen, reading content suitable to them and sharing it with others like themselves. The primary reason that people share content online is to be useful to others. They also want to share content to express who they really are, to nurture relationships and to get involved online. Most content shared online have a wonderful headline invoking positivity and emotion. CoSchedule Headline Analyzer tool will quickly tell you how to improve your headlines with proper choice of words. 4. To get the word out about causes and brands we care about. Content with a positive vibration seems to be shared more compared to the negative stories. Bad snippets stick to your mind more than the good ones because of our brain’s negativity bias. But if you want to create viral content it has to induce positivity to the audience. Usage of superlatives in headlines interests more readers. Posts focusing on positivity and happiness are also good ways to reach out to the audience. Emotions are considered most important in marketing as they remain tied to base evolutionary processes and have kept humans safe for centuries. Hence, they’re so basic that we’ll always be wired to pay attention to them – often with surprisingly powerful results. Any content that you provide must be useful in life application to the audience. It must be problem solving, provide little tips or any practical strategies useful to your daily life. Involving your audience with questions, or surveys is more important to make them learn something. Keeping it simple helps saves time to you and your audience. These pointers, while quite a few in number, are well worth keeping in mind before shaping content. At Ittisa, we spend time thinking before we post. We ask ourselves questions – will it interest the audience? Will they ponder what we share? It is only after due consideration that content ought to be shared, for it to be successful, or as the term today goes, “viral and shareable”.